Operatives of the Economic and Financial Crimes Commission on Friday grilled Shalewa Obanikoro, the daughter of a former Minister of State for Defence, Musiliu Obanikoro, over a transaction of N800m she allegedly made. Investigators told our correspondent that Shalewa was grilled at the Lagos office of the EFCC for several hours alongside her mother, Moroophat. An impeccable source at the anti-graft agency said as part of investigations into the N4.7bn allegedly paid into the company account of Obanikoro’s sons – Babajide and Gbolahan – by the Office of the National Security Adviser, the commission started investigating some other members of the family. The detective said, “Obanikoro’s wife came to our office on Friday morning as part of investigations into the N4.7bn paid into Sylvan McNamara, a company owned by her sons. During investigation, we stumbled on the account of an oil company. We then discovered that Obanikoro’s daughter was a signatory to the account of the oil company and that millions of naira was paid into the account at different times. “We then invited the daughter and she came to meet us at the office. During investigations, we found out that the daughter gave a standing order to the bank that N800m should be moved into another account. We wondered why such a young girl would have access to such funds so we started quizzing her. Obanikoro and his sons, who are citizens of the United States, have remained in the US for over a year. However, the EFCC swiftly seized the US passport of Shalewa to prevent her from towing the path of her father and brothers. Apart from the N4.7bn arms scam rocking the Obanikoro family, it will be recalled that MOB Integrated Services Ltd, a company headed by Obanikoro’s second son, Gbolahan, was implicated by the Aigboje Imokhuede-led Presidential Committee on Verification and Reconciliation in 2012. The company was said to have made three transactions valued at N5, 393, 592,906.62. However, investigations revealed that the company only made one transaction valued at N3, 261,263,992.52 verified as legitimate. The difference of over N2bn was said to have been embezzled as MOB did not make the needed oil supply. However, sources at the commission told our correspondent that after Obanikoro was appointed the Minister of State for Defence, the case was mysteriously suspended indefinitely. The latest revelation may be the missing piece of the puzzle, detectives believe. However, the former minister said in a statement that his wife had high blood pressure and other heart-related ailments and asked security agents not to drag her into the arms probe as she knew nothing about the case. 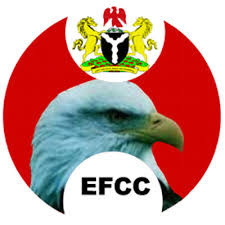 He said, “We are using this medium to call on the officials of the EFCC to desist from persecuting an innocent woman who has no dealings at all with any of the businesses that they are investigating and totally unaware of the alleged transactions. Obanikoro also denied media reports that his wife was arrested with incriminating evidence.